The Department of Justice reports one in three girls and one in seven boys will be sexually abused before they turn 18-years-old. "Just the amount of damage that's done to our children is, it's irreparable and it doesn't make any sense. And so, it's really difficult. 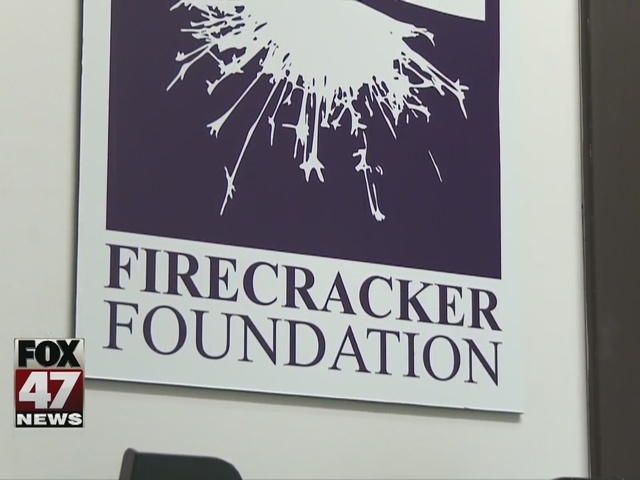 The number is way too high," said Tashmica Torok, Executive Director of The Firecracker Foundation. She and the Foundation have been working to help child victims of sexual assault heal in the weeks after their trauma. And now, the organization has formed a team of first responders, a pediatric medical advocacy team. "It was really in response to the Listening Ear not being able to respond," Torok explained. "And, we wanted to make sure that children were not missing out on this service." Because Sparrow is the only hospital within five counties to have nurses specifically trained to handle sexual assault victims. "It would be a real gap and we just couldn't allow that to happen," Torok said. Each time a child comes to Sparrow for a forensic exam from the Sexual Assault Nurse Examiner Program, the Hospital pages the team to send someone immediately to provide support and help to both the victim and their family. "There's not really a value that can be placed on having someone be there for you in an experience that you are absolutely not prepared for, don't know what to do, don't know how to comfort your child, you don't know how to provide your child with appropriate resources," Torok said. The Foundation is still working to meet its fundraising goal, but has a small team responding to about 2 to 3 calls a week right now. "It happens to a lot of families and to be able to relieve some of that guilt and shame right away that this does happen unfortunately, we just want to make sure that we can kind of step over that guilt and shame and start healing as soon as possible," Torok added. The Foundation has raised $7,500 of its $10,000 goal. The first training session begins this weekend. Between 10 to 25 volunteers are expected to attend. Torok tells us she's hoping to have the team in full force by the end of the year.